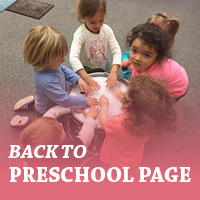 Our Preschool uses the center-based “Creative Curriculum” to foster learning through play. Subject areas include literacy, math, science, social studies, and technology. Our goal is to create a language-rich environment at school and at home. Each month, we focus on one piece of quality children’s literature and incorporate it into our current thematic unit in many unique ways. Such books contain repetitive phrases, rhyme, rhythm, and specific vocabulary designed to develop pre-reading skills. At the end of the month, each child receives a copy of the book. We have found that this literacy project can be the first step in a lifelong love of reading. We offer a variety of programs for three and four year-old children. Students have the option of attending 2, 3, 4 or 5 mornings per week. There is an optional lunch program and a full day program as well. 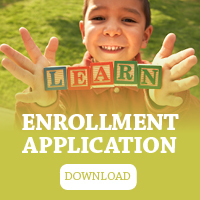 Our Two-Year Old program is designed as an introduction to school and socialization. With a student/teacher ratio of 3:1, our children receive the individual care they need while learning to love school. Two-year-old children may attend 2, 3, 4 or 5 mornings per week. 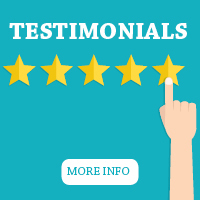 Our specialized music teacher actively involves the children in all areas of music. Children have the opportunity to sing, dance, play instruments, and even learn about composers. Several music programs presented by the children highlight the school year. 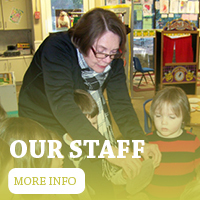 Christ Lutheran Preschool was established in 1979 as a ministry of Christ Lutheran Church. The preschool is a cooperative program where parents play an integral role in the educational experience. Each day a different parent spends the morning at preschool assisting the teachers and joining the students’ daily activities.